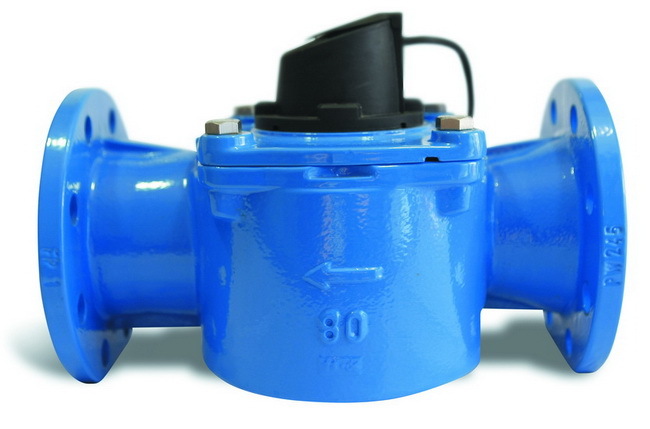 The SINGLE JET water meter family comprises calibres 50, 65, 80 and 100 mm. Its operation is based on speed type mechanics with entry of a single jet which directly strikes the vanes; this is the only moving part of the unit. Its rotation is detected by an electronic sensor which sends the digital signal to the microprocessor, allowing the same possibilities for communication as all CONTAZARA measurement and management units. Its hydraulics ensures constant precision in its entire range of flow rates (R250) and its installation does not require straight sections either upstream or downstream.